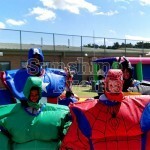 The Avengers assemble with Justice League as the Fun Experts bring you our super fun Superhero Sumo suits. Taking the traditional sumo costumer design and adding a bit of colour and latex (not so much the latter), your guests can become crime fighting, hulk smashing sumo wrestlers. 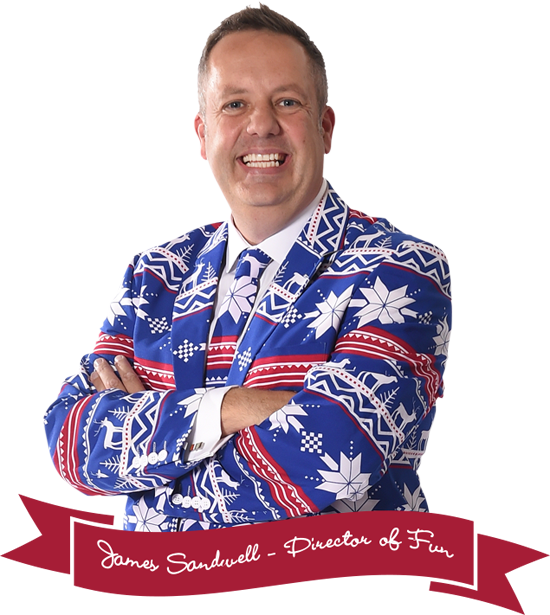 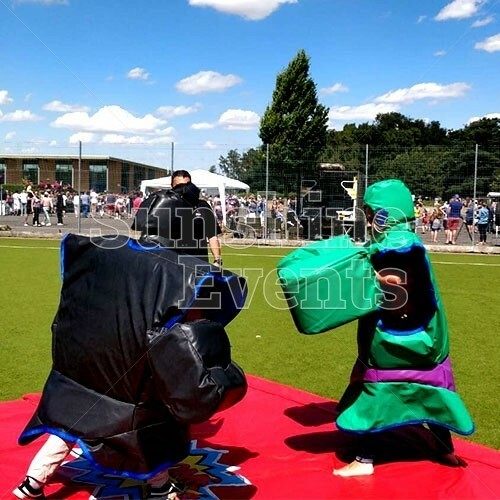 A massively enjoyable challenge for both those taking part and those watching on, the sumo suits are a perfect option for events and a sure fire option for success. 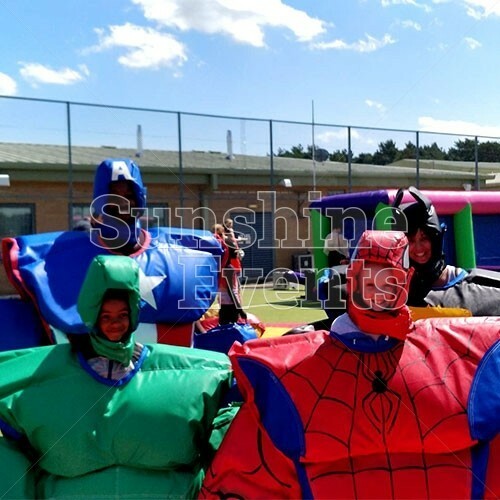 The Superhero Sumos feature the world's greatest detective, Batman, the heroic Captain America, the webslinging Spider-Man and of course the huge, very angry and very green Incredible Hulk. 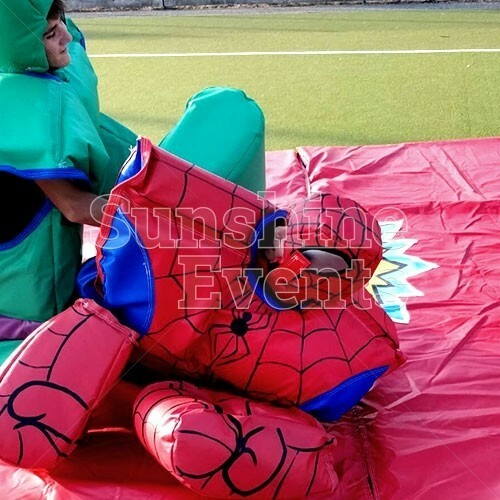 As you take part in the wrestling match, competitors will need to don the safety helmets which come with an added element of fun as they feature designs based on these heroes. 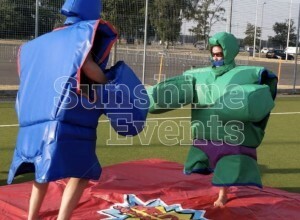 And with the added gloves, you can definitely "SMASH!" 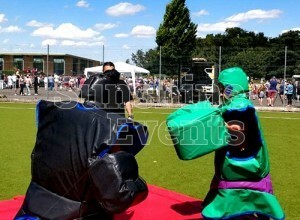 as the Incredible Hulk! 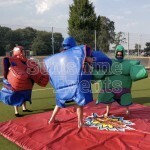 Straight away you're drawn to the quirky superhero design of these sumo costumes. 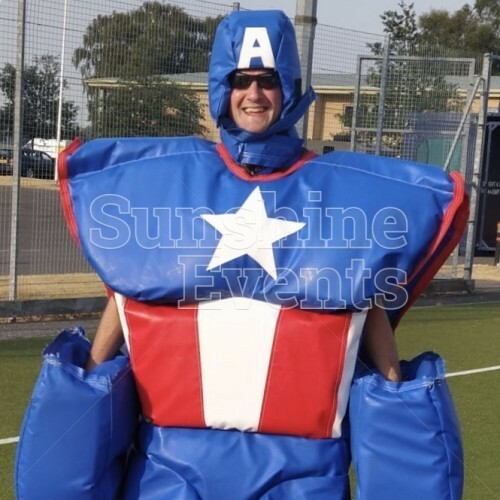 Featurning everyone's favourite Avengers and Justic League members, both kids and adults will be drawn to this fun filled hire. 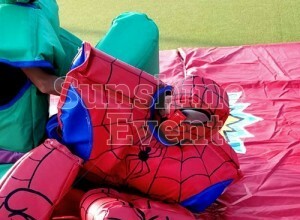 Superhero Sumo Costumes Hire has been added to your Event Quote.